Goals are just dreams until you combine time and action to make them a reality. We teach you how to reach your goals by helping you identify what actions you need to take and helping you you step by step. Schedule an appointment. Sometimes you can’t see a situation when sitting in the middle of it. Possibilities Unlimited views your business from the outside looking in and and help you identify your blind spots. No matter if you are a solo entrepreneur, a corporate manager or corporate CEO, life can deliver stress across all areas of your life. This is an issue for many of our clients. We help you to learn to manage the breakdowns and reduce your stress. 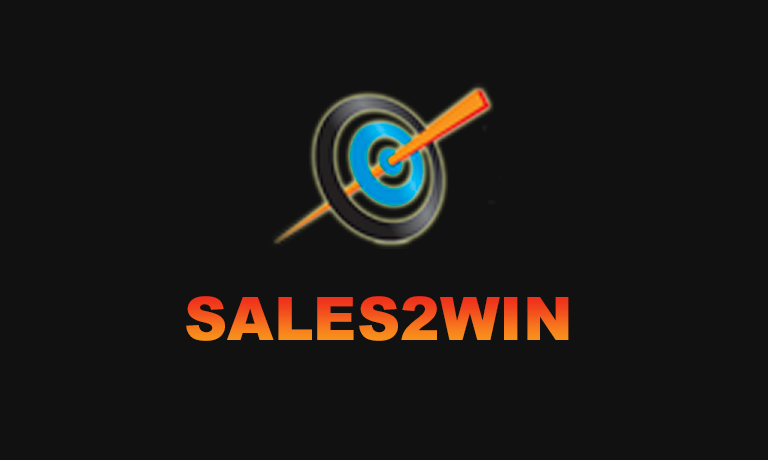 Possibilities Unlimited is committed to supporting you in winning the game called Business/Life. 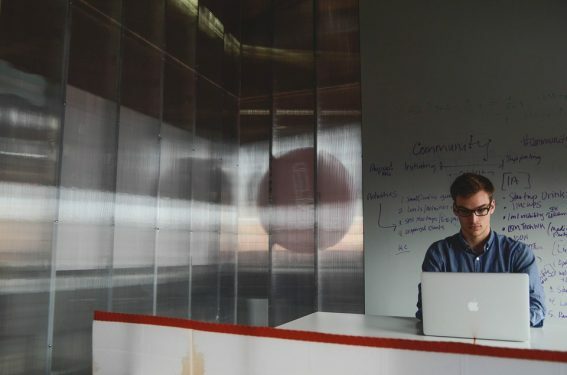 Our coaching is comprised of training and real-life experience that touch on all aspects of a successful professional and personal life, from starting your own business to balancing work and family. Together, they provide a comprehensive approach to keeping you at the top of the game. Our coaching brings an uncompromising dedication to supporting you in accomplishing your goals. From big picture ideas to fine-tuning the details, Possibilities Unlimited has the tools and experience to coach you to win the gold in all areas of your life. Ralph White has unfailingly navigated the choppy waters of business and life and always come up a winner. 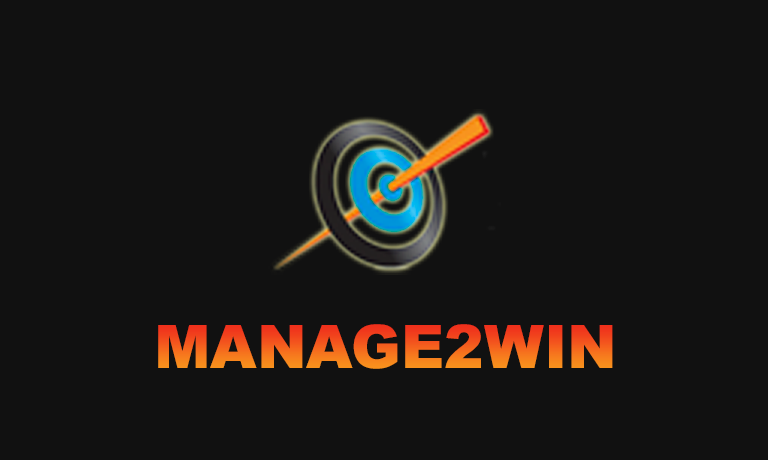 He brings a lifetime of business experience to his “Consulting2Win” strategy for business excellence. Ralph’s earliest entrepreneurial aspirations involved selling donuts to his Boy Scout troop – for a profit of course! Ralph ran his own sheet metal fabricating company for over 37 years while simultaneously managing a variety of other businesses. 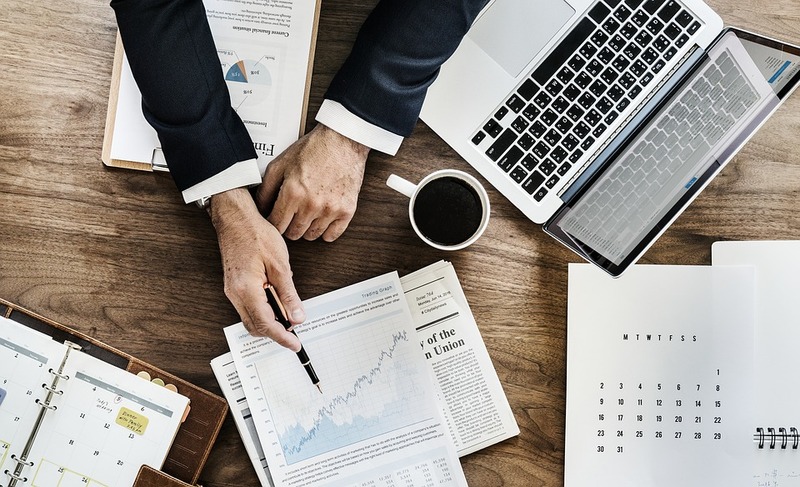 In 1993, Ralph began his consulting career, sharing his vast knowledge and unique approach with entrepreneurs, managers and salespeople the world over. What makes Ralph the consultant of choice for so many successful people? 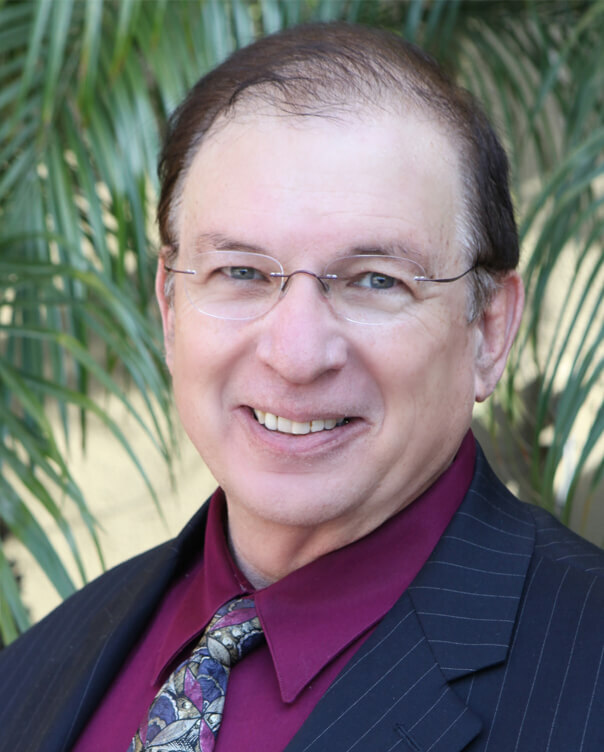 Ralph has the uncanny ability to transcend industry and circumstances to provide winning formulas for any type of company. Possibilities Unlimited offers courses during the year. 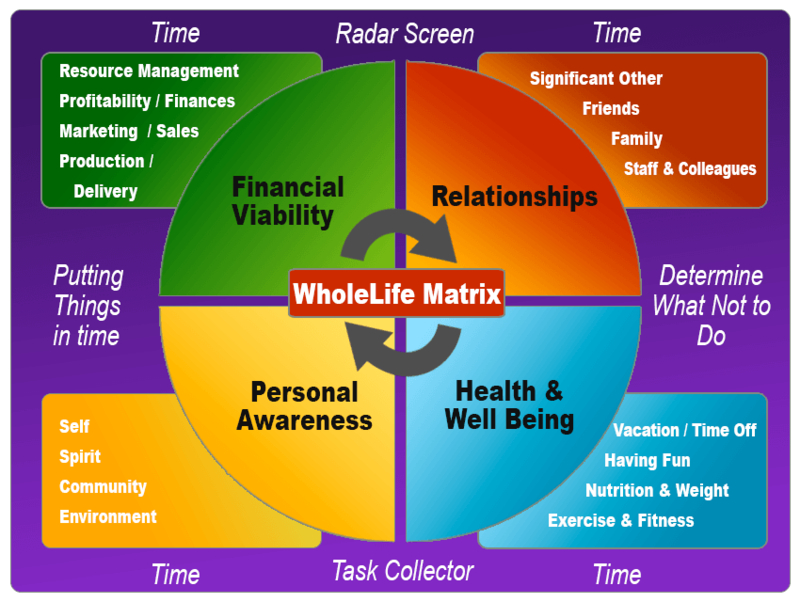 Each are designed to help in areas of your business and life to help you over the bumps and propel you to your goals. Get more details by clicking on each course. 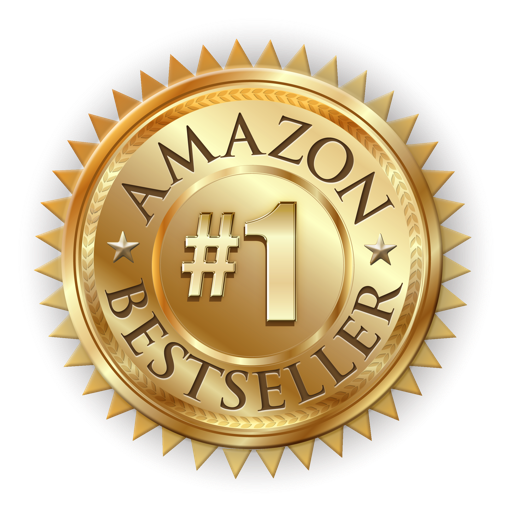 Ralph White’s Amazon Best Seller Business Book — This book is designed to be a coach, giving you step by step coaching to set you up to win. 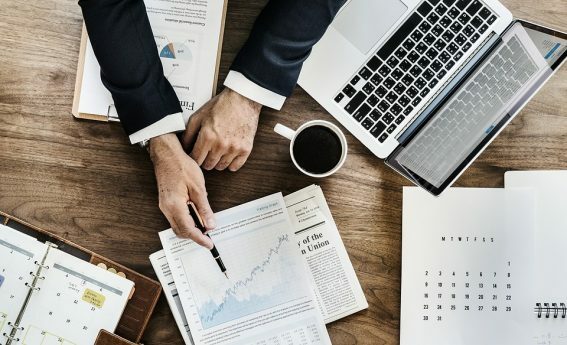 As you go through the process and follow the coaching, you will experience a sense of having your hands on the dials and levers of your business. 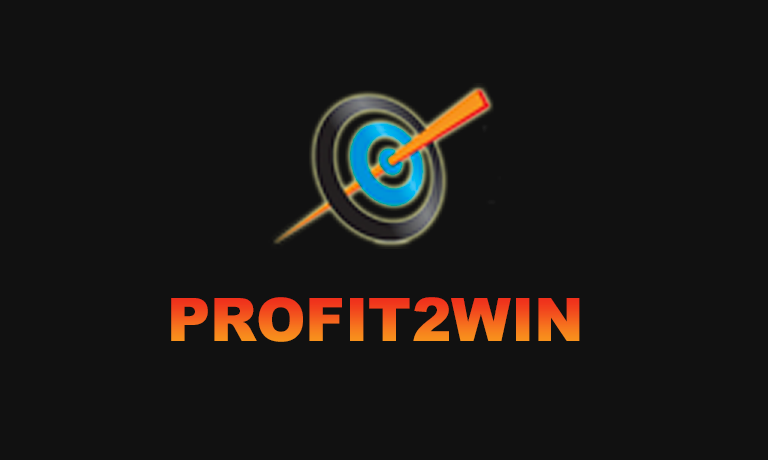 You will have the feeling that you are in control of your business rather than the business controlling you. This sense of power is what leads you to the right solutions for success. 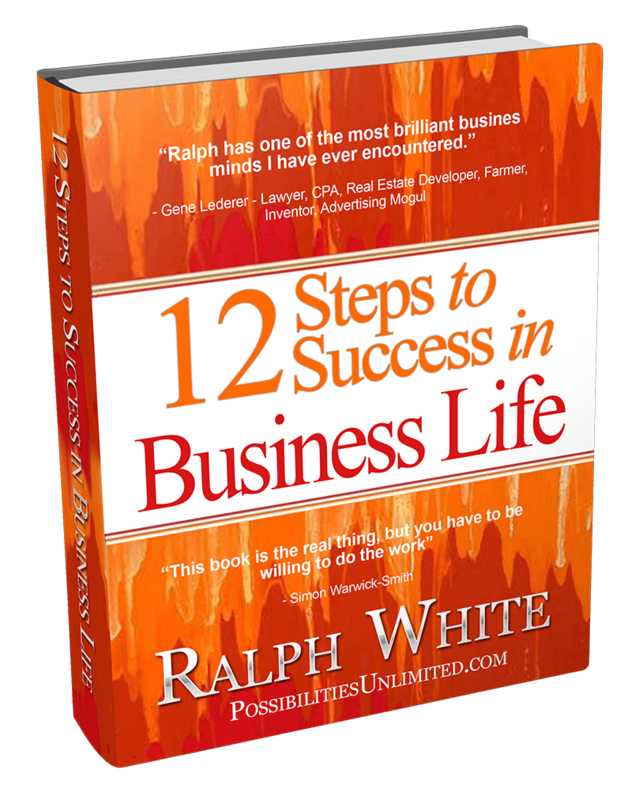 Written by Ralph White, 35 years of business experience distilled into 225 pages of wisdom and guidance. 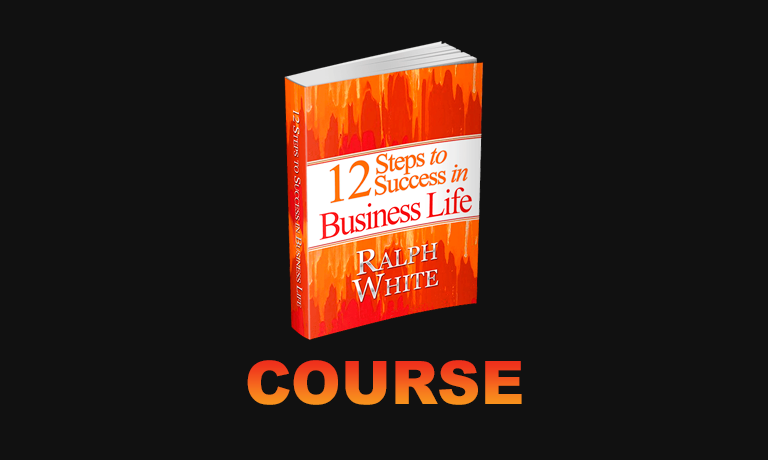 12 Steps to Success in BusinessLife has a 5-star rating and is available from Amazon in hardback or Kindle versions or order the hardback on PossibilitiesUnlimited.com. 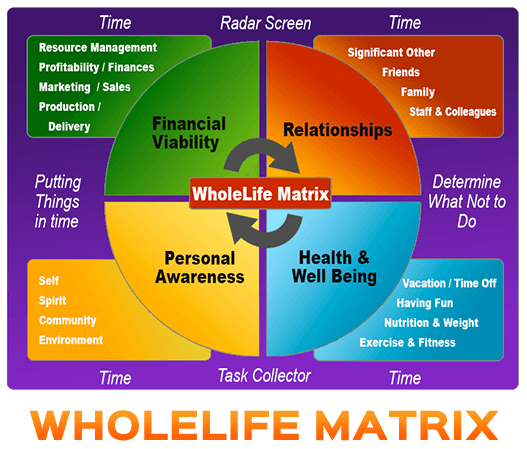 Get your life in balance – FREE Bi-Weekly Wholelife Matrix course works on every area of your life – Business, Personal, Fiancial and Spiritual. Possibilities Unlimited Inc. is more than a business coaching firm. We believe in an integrated approach to business and life. 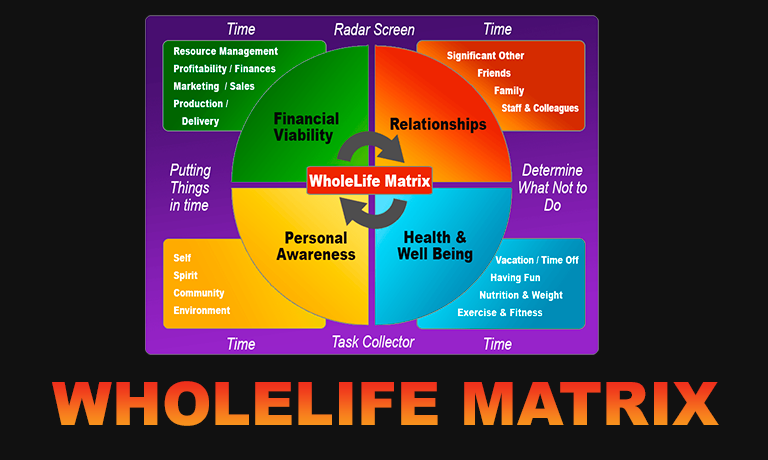 Your business should enrich your life! 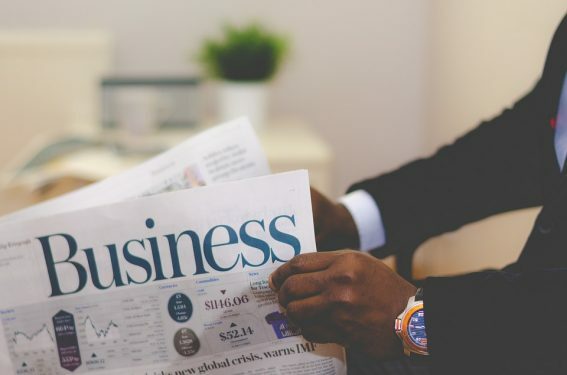 If you've lost touch with why you went into business in the first place, we can show you how to create new possibilities for your business and rekindle your entrepreneurial spirit.